There’s not much today’s young entrepreneur can’t achieve with her trusty laptop and a surplus of ambition. While the motivational content on ‘digital nomads’ is starting to eclipse the profiles on ‘unexpected start-up billionaires’, the message remains consistent: we live in a world of opportunity. For the independent spirits of the 21st century, it’s a welcome culture shift. However, such bluster should not be taken entirely at face value. The reality of starting a business or surviving as a freelancer is not as glamorous as it first appears, and there are some people who just aren’t suited to it. As an independent entrepreneur, you need to be not just a code whizz or a source of perpetual good ideas – you need to be a salesperson, an accountant, and your own harsh boss. The rewards are more than worth it if working for yourself suits your personality and skill set, though, so if you suspect you do then it’s worth looking into. 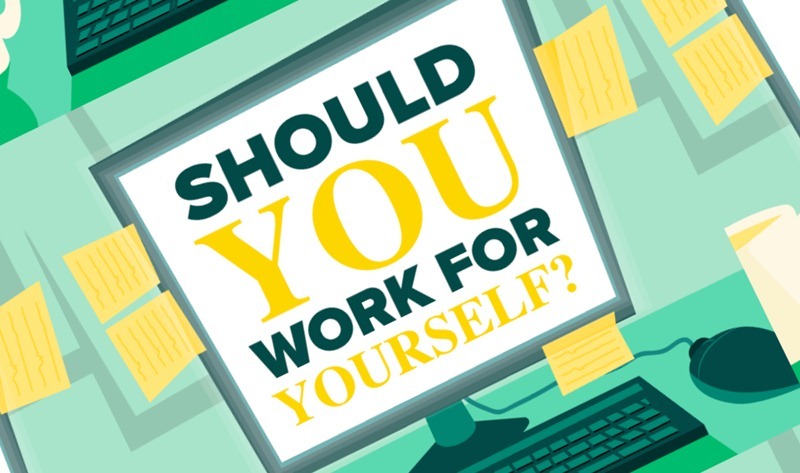 If you’re curious, run through this useful infographic, which guides you through a self-assessment process to see if this is the path for you, and check out the handy pointers on how to proceed if you decide to go it alone.